Goodmorning, our dear friends! Happy June! I hope the new month is warmer than May. I think that summer has forgotten us! We still sleep with a blanket at night due to the chilly weather…Today we are making a refreshing light pasta dish with artichokes and peas scented with lime and mint. It is healthy, bursting with flavours and it keeps well in the fridge. You can have it as a main dish or salad and it would also make a lovely office lunch! Cook peas and artichoke bottoms. When ready. drain them and finely chop them. In the meantime cook pasta according to package instructions. In a bowl combine olive oil with lime juice and season with salt and pepper. Drain pasta, put it back in the pot and pour the lemony sauce. Stir until well combined. Add veggies and stir again. Serve. Enjoy! 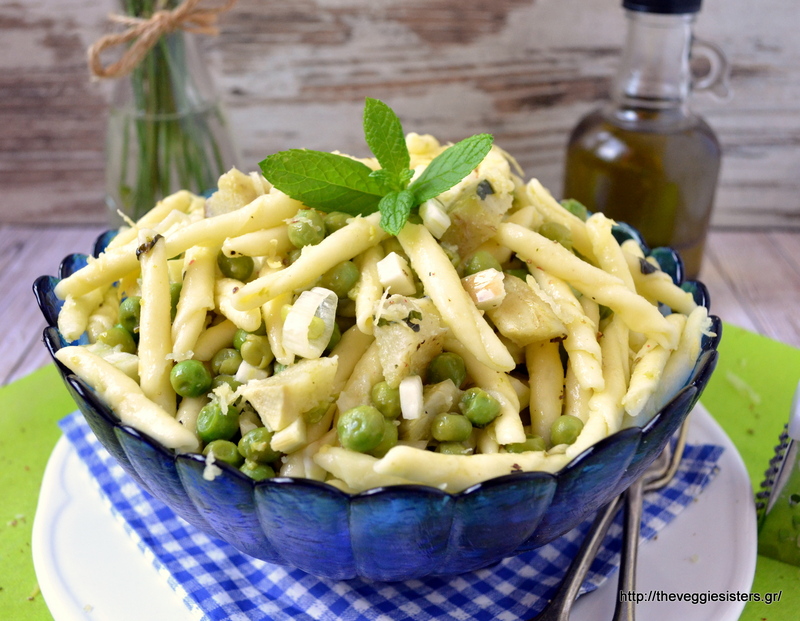 Share the post "Lemony pea artichoke pasta"